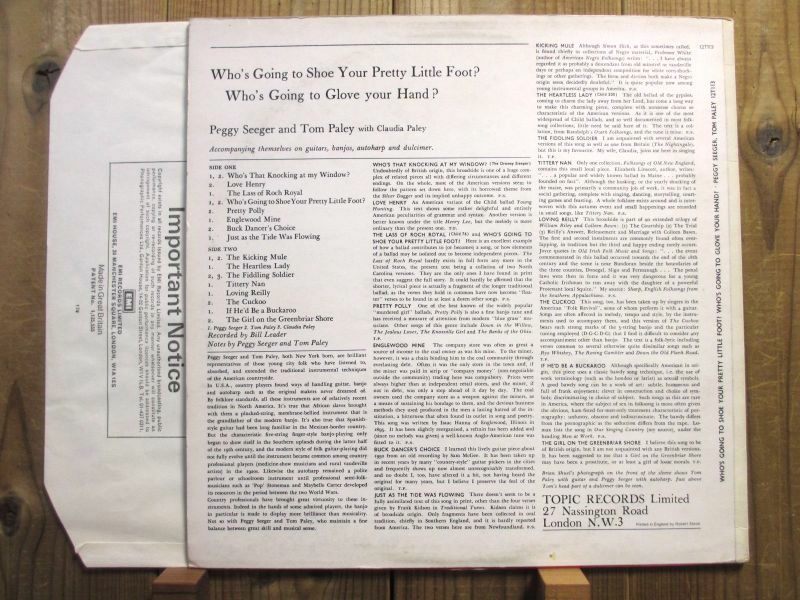 Home ｜ Record - Folk-Country/Bluegrass > T ｜ Tom Paley & Peggy Seeger With Claudia Paley / Who's Going To Shoe Your Pretty Little Foot? Who's Going To Glove Your Hand? A1	Who's That Knocking At My Window? A4	Who's Going To Shoe Your Pretty Little Foot?